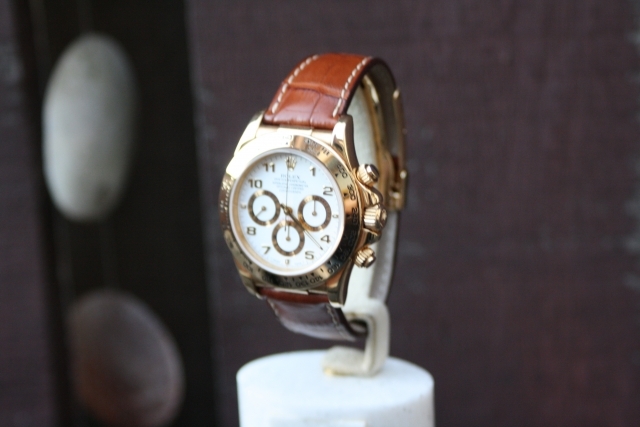 In perfect condition featuring the caliber 4030 zenith movement. 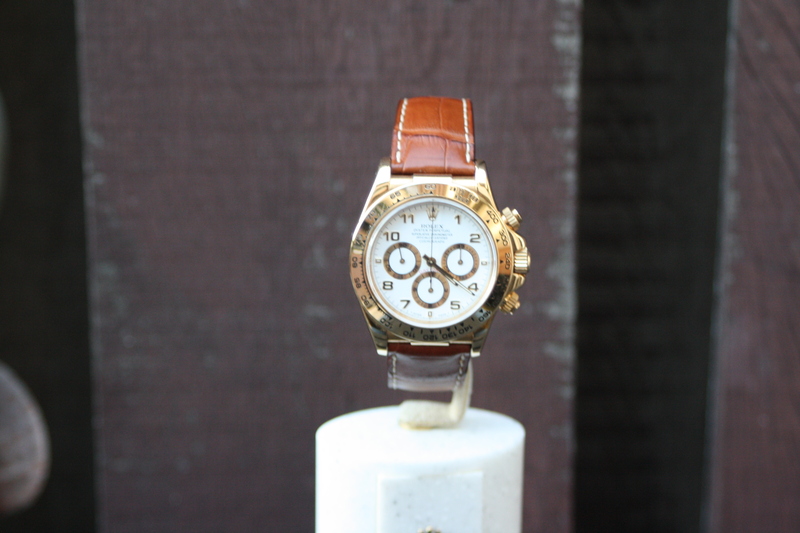 The watch has been produced in the 1990’s and the overall condition is very good. 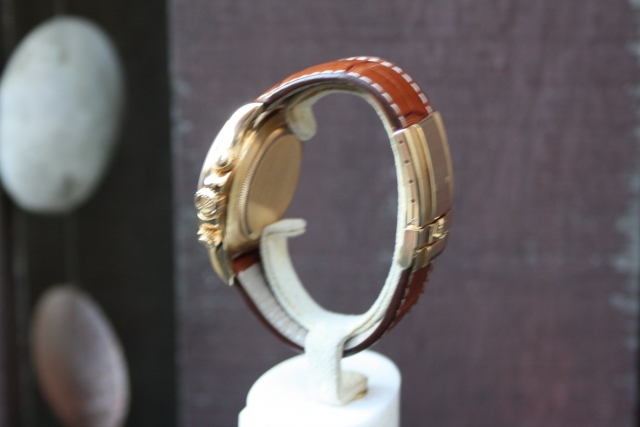 It comes on an almost new original leather Rolex bracelet with 18k gold clasp. 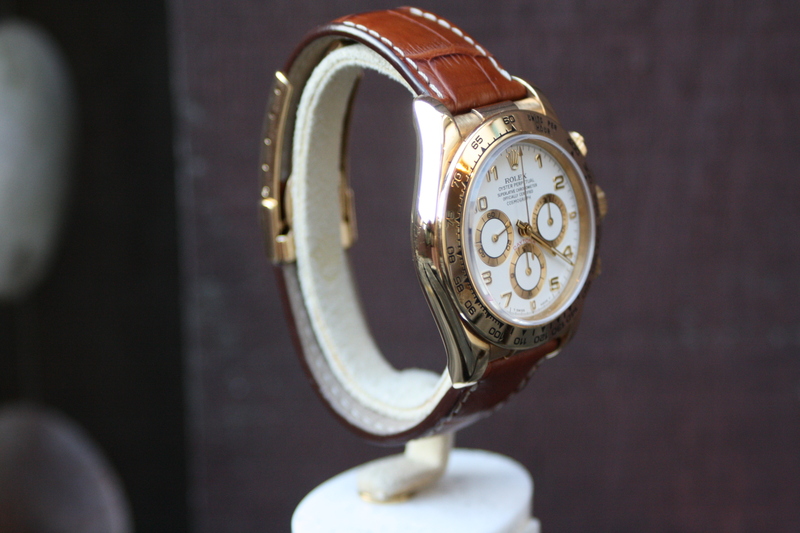 The zenith Daytona is one of the most Iconic Rolex watches. 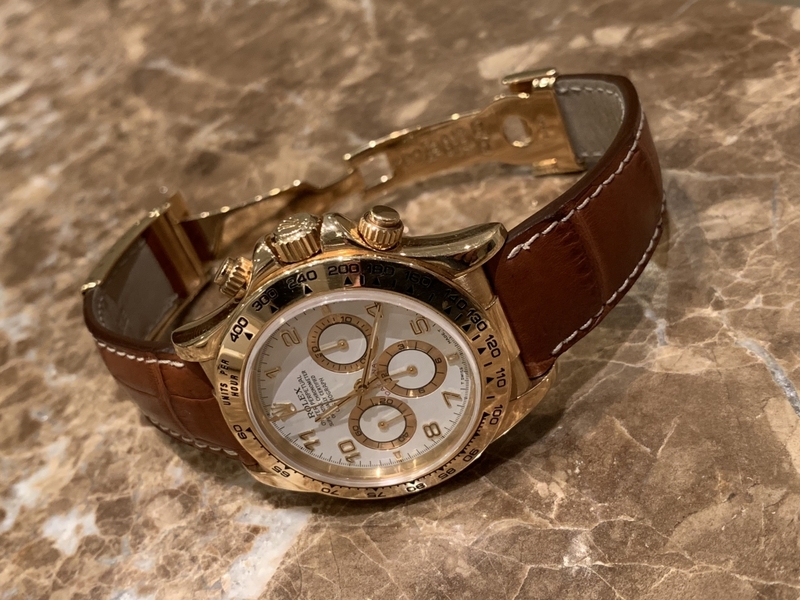 Frankly the steel models are reaching extraordinary prices while the gold models did not increased in price extremely the last few years, for now the gold rolex 16518 is prices cheaper then any Rolex Daytona in steel. We expect the 16518 to rise in price for the upcoming years, therefore its a very interesting watch for investing but also a gem on the wrist. 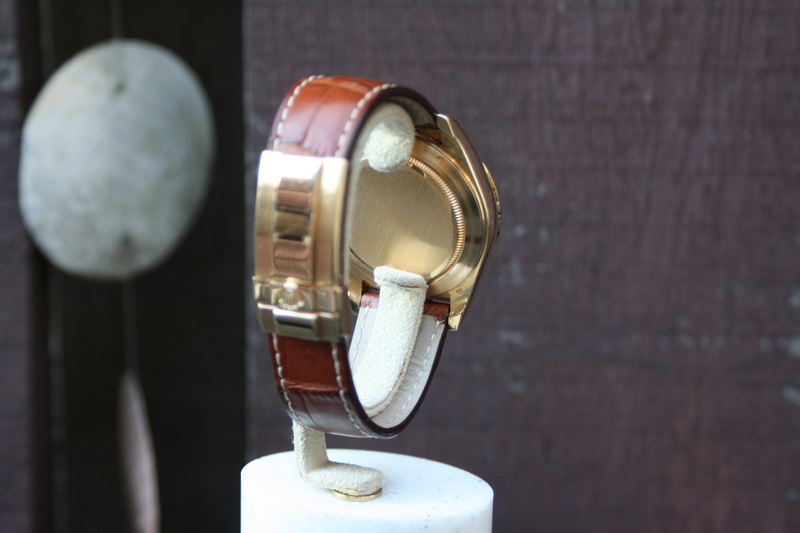 The solid gold body gives the feeling of wearing a luxury watch while the alligator leather bracelet gives it a sophisticated look. 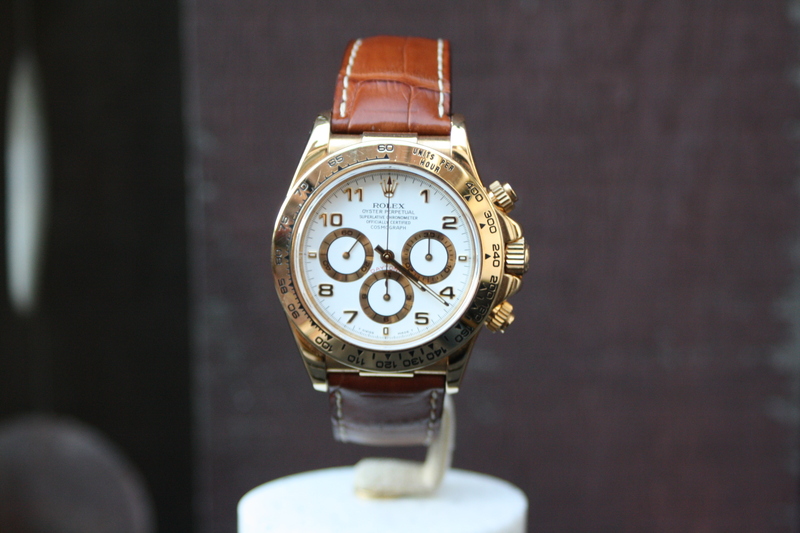 Especially compared to the full gold Daytona this is one of the more dressy Daytona watches in gold. 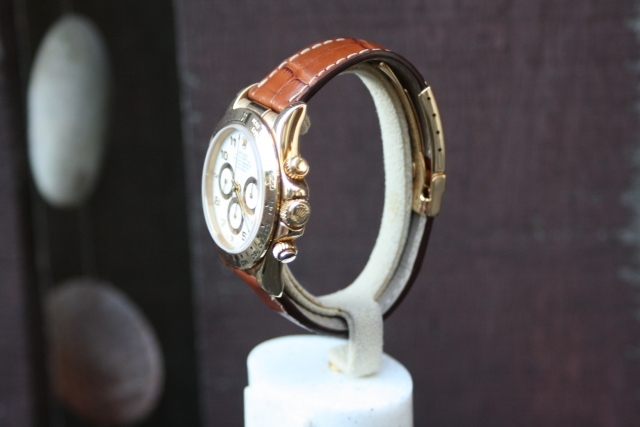 For more information contact us by phone or mail, we are happy to answer you questions so don’t hesitate to contact us for any info, trade offers or other questions.